How to play Disney's tumble after the close of the Fox deal. Leading investment experts highlight their top ideas for exposure to the media sector. Disney's deep slate of releases serves to bid bulls welcome later in 2019. Like it or not, Disney is embracing the capital-intensive Netflix strategy. The impact of raising subscription prices on net subscribers adds over the next six months is a huge unknown. Disney shares reverse lower on the circulation of some negative articles relating to the value of FOX regional sports networks. Netflix might not be the best play for those seeking streaming trend stocks. First off, in full disclosure, I am flat the name right now. The most valuable U.S. sports rights are generally locked up for at least a few years. Successfully bidding for Fox's regional sports networks would give Amazon a way around this issue. 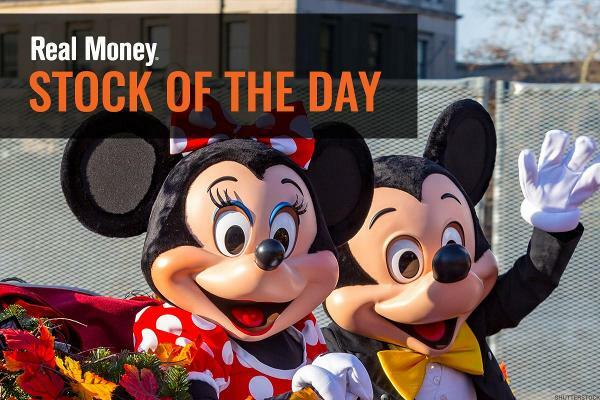 Disney stock is getting a bump after earnings on Thursday. Chart of the Day: Is Disney the New Way to Play a Secular Streaming Shift? Disney's DTC push takes aim at Netflix. Which is the play? Disney could be in line for a breakout based on a few key factors. Disney has a lot of variables heading into earnings. Stocks had a mixed day of trading Tuesday, spending time in both positive and negative territory.